In the main image you see the template design. 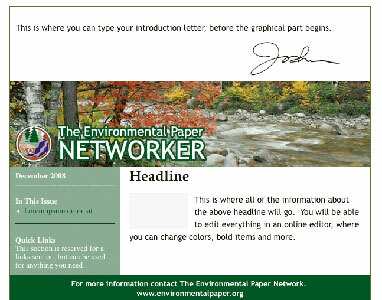 Environmental Paper works from this template to produce their monthly newsletters. The fonts, styles and layout is already set, all you have to do is highlight the text you want to replace and type or paste in your content. 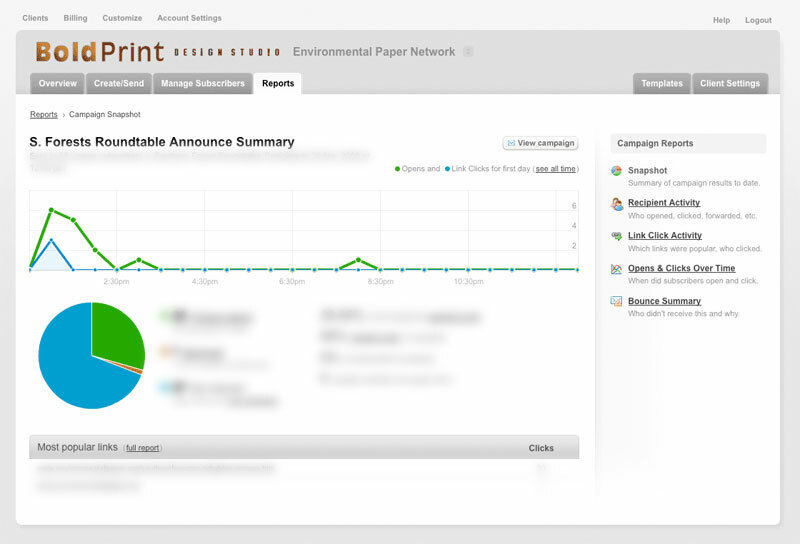 The additional views show some of the back-end features and functionality. 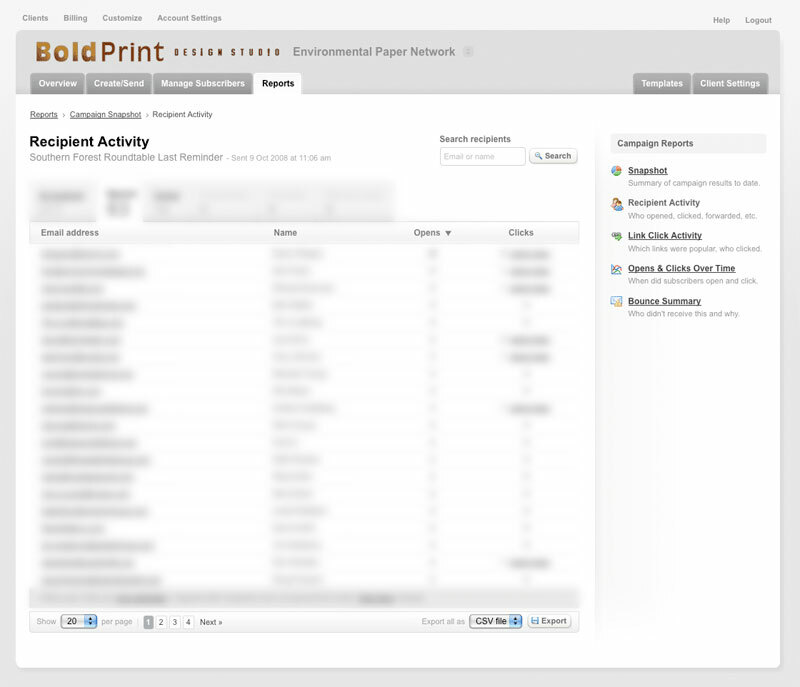 You’ll notice the interface is easy to read and navigate with helpful features that allow you to track the success of your campaigns, manage your subscribers, and setup your next campaign.